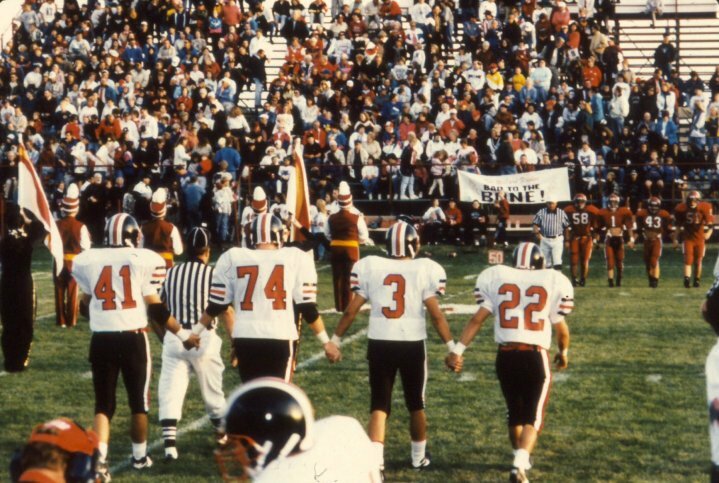 2010 Football Captains...and a call to action. Here are your 2010 Orrville Red Rider football captains....and a request for help on a project that I think has a lot of historical worth. 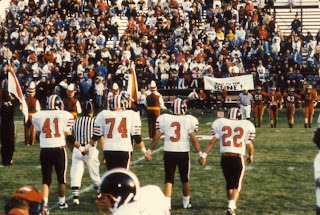 (Pictured: 1994 Captains (L to R) Jon Haley, Tom Troyer, Kevin Maag and Cory Wilson. Lots of talk about this issue lately...or maybe not so much talk, but anticipation. The ever-at-the-forefront issue of where to hold the OHSAA State Football Finals was again, well...at the forefront. It seems to almost overshadow the games themselves. No matter how recently the state had re-upped with Stark County to host the games, there was always a contingent from Central Ohio that would make the case that they were better suited to hold the games. Now they'll get their chance to prove it. Today, the OHSAA extended Stark County's hold on the games through the 2013 football season, but beginning in 2014 and continuing until at least 2015, the six state championship football games will be held at Ohio Stadium on the campus of THE Ohio State University. Football Schedule: Smithville vs. Orrville?? From the "Dream Schedule" post a few weeks ago, a reader sends in this comment. 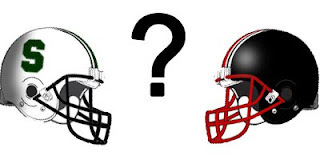 "Smithville wants Orrville the next two years for a home and home, week two matchup. Rumor is Orrville is looking at Wadsworth or bringing Dover back. The Smithies would give Orrvile a lot of computer points, as they have a lot of talent coming, maybe not as much as Dover (which has been a great rivalry with Orrville over the years), but more than struggling Wadsworth teams, and the crowd would be one of the biggest Wayne County has ever seen for a home regular season game." Always an interesting topic, Orrville vs. any WCAL team...I'll tell you why Orrville would love this matchup and why it should never happen. "Turn"-ing into a Red Rider...and the value of social media. I heard rumblings of this back in May...but through some old-fashioned journalism pestering of a few different sources, I was able to confirm that Wooster junior-to-be Stewart Turner seems to be all but officially transferred to Orrville. This is good news for Red Rider fans. So lets discuss. 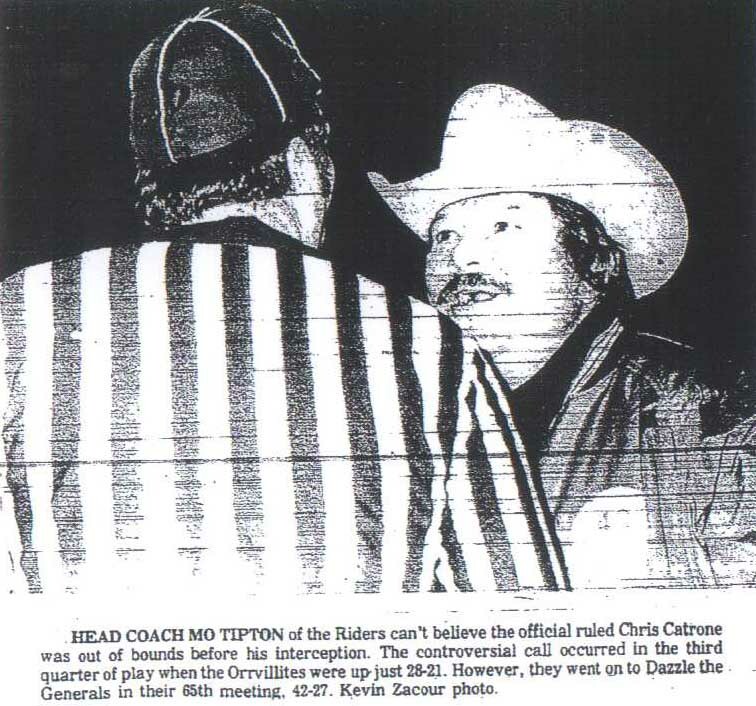 I wish, I wish, I wish I had video of this..Mo Tipton giving his OHSFCA Hall of Fame acceptance speech....maybe it will surface...but for now, we have to rely on the first-hand account provided by longtime Tipton assistant Gary Hutt.